At City View Electric, Inc. we understand the importance of keeping pace with all the advances in electrical equipment and technology. Our certified technicians are trained to keep your business on top of these changes by providing you with expert design and installation of the best systems to keep your facilities operational. Protecting your property and its assets is paramount to the success your business. City View Electric is a local experienced technology contractor that specializes in engineering and installing fire alarm and voice evacuation systems. We have provided installations in the Retail, Health Care, Assembly, Public, Educational, and Business industries. We are proud of the reputation we have in our industry as being knowledgeable in local and national fire alarm codes and our relationship with local authorities. 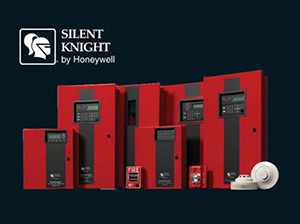 Our UL Certification for fire alarm installations paired with our reliable off site Central Station Monitoring and 24 hour service will provide you with assurance and peace of mind that you are protected City View Electric has years of experience in design, installation, service, and compliance in Minnesota and surrounding states. Our certified, skilled, and efficient staff can provide you with a fire alarm system to meet not only your budget, but also provide you with the protection required for you and your business. 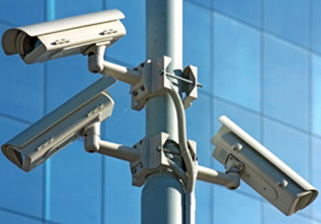 Camera surveillance has become an important component of business operations and liability protection. City View Electric is a leader in design and maintenance of both Analog and IP based CCTV systems tailored to suit your needs. We are pleased to offer a line of products that are globally recognized and provide you with the highest image quality. The digital age has brought exciting and limitless options for your CCTV system. City View Electric has the capability to provide you with a new state-of-the-art CCTV system or bring your outdated CCTV system into the future. We can provide you an IP server based system at minimal cost yet utilizing your existing Analog cameras preparing you for a future IP Mega-Pixel camera installation. Securing your building or business allows you the comfort and convenience to conduct your work. City View Electric provides Intrusion and Access Control Systems that seamlessly integrate with CCTV, Time Management, and Lighting Control Systems. With our products, managing the access and security to your building is simple and secure. We deliver user friendly software, reliable equipment, and qualified technicians that are available 24/7 to assist you with your needs. City View Electric offers specific design requirements to fit your application and implements that design with great care to ensure that you and your environment are safe and secure. From simple a security alarm system to Biometric authentication, City View Electric can provide you with the solution to your Access Control and Security requirements. In this technical age, Audio Visual Systems are imperative to the operation of all industries. 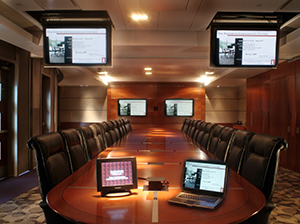 Video Conferencing, Presentation, Recreational Viewing, and Educational Training require the most current technology available. City View Electric is able to provide you with the equipment and design to ensure that your Audio Visual System is superior to the competition. We offer knowledge for a vast line of products in Sound and Visual Display at a reasonable expense. City View Electric has the experience to offer Audio Visual Systems from background music to integrated and interactive audio visual demonstration. Communication cabling is essential to local commerce for communication infrastructures. We provide certified installations of Fiber Optic, Coaxial, Voice, and Data cabling. 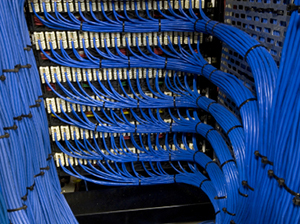 There are no corners cut in our Communications Cabling installations. We only provide materials that are world renown with an available product warranty of 15 year or more. Let City View Electric install, build, and maintain your point to point cabling system, and feel comfortable knowing that your critical communication technology will operate at a higher level in this competitive world. Quick and accurate response to an alarm is pivotal for the protection of you, your employees, and the public. City View Electric and its Central Station Monitoring can offer you this protection in cases of Fire, Water, Burglary, Duress, Medical, and Temperature alarm incidents. Our friendly and educated staff is there for you 24/7/365 to communicate these alarms. Under your specific account instructions our dispatchers will react instantly to report the alarm to you and the local authorities. Our 24/7 technical on call personnel is also available to respond to any problems you may have with your monitored systems. At City View Electric, Inc. we are proud of our reputation, reliability, and response to our customers. We offer very competitive annual monitoring rates, reasonable term contracts with no hidden fees or surprises. 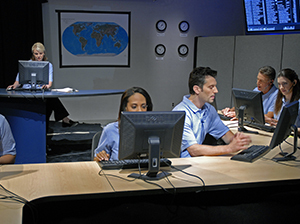 You will feel comfortable knowing that your Central Monitoring Station and all of its personnel are local and available. © 2019 City View Electric, Inc. All Rights Reserved.